Most business leaders want to build a business that's not only successful in the marketplace but also the kind that remains successful for a long time. But many businesses, even though they may be successful for the time being, may not be built to sustain that success through the ups and downs of the long term business-cycle. Perhaps a good way to study why businesses can't sustain their success is to study why they are built to go out of business. 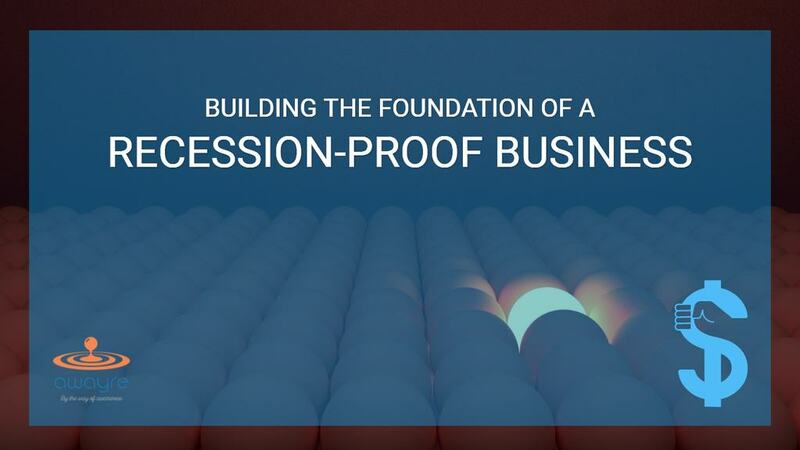 This article points out the single most important reason businesses, especially the small and mediums sized businesses, go out of business slowly and painfully and, by contrast, demonstrates how to build the foundation of a long-lasting, recession-proof business. It was a Friday afternoon. I was catching a connecting flight back home from an airport in the middle of nowhere. The airport lounge was almost deserted. Not a soul as far as the eyes can see. Finding out that my connecting flight was delayed by 3 hours, I loosened my tie, picked up the novel I had in my briefcase and started reading it. The woman who walked through the doors was in her late 40’s. She seemed a bit intense but was friendly, perhaps because she also had 3 hours to kill at that deserted airport. She smiled and said “hello” as she took the seat next to mine. We started chatting. Soon, I was surprised to find out that she was the woman I had tried to get hold of many times from list of prospects I was calling. She was the majority partner in a successful, mid-size law firm with about 40 lawyers and over 100 employees. And I had her all to myself for the next 3 hours! ​For the next 2 hours, she talked and I listened. As we began to get into some of the technology issues that her firm faced, I started asking some questions about their Information Technology investments. “Here,” I said, pointing to the “X.” Then it happened. She said something that caught me completely off-guard. She didn’t have a pen. “Do you have a pen?” she asked. In a moment of panic, I realized that I did not have a pen with me either. I looked around. There was only one store at the airport, a news-stand with a built-in coffee shop. I walked over and asked the store-keeper if I could buy a pen. “Sure,” he said and pointed to a cup with some pens stuck in it. Nothing fancy, just your regular “BIC” brand pens that you could buy at a local Target for 50 cents each. Each pen had a white price-tag tied to it with some hand-written numbers. I looked at the price tag. $5 each!! “You must be kidding me,” I mumbled under my breath and, without missing a bit, handed him the credit card. Once I had the pen, I went back to my prospective client, joked about being glad that we were at a deserted airport otherwise she would be gone and asked her if she still wanted to sign the contract. She laughed, took the pen and signed the contract. Let me ask you a question: Would you have paid 10 times its “fair value” for an object, a pen in this case, because it was key to getting something that was 40,000 times what you paid for it? Of course, you would. The next question is: Did the store-owner “price-gauge” me? Being a capitalist that I am, I would say, absolutely not. He provided what I needed, when I needed it, at the price I could afford and to solve a problem that would have cost me many multiples of what the pen cost. There is a good chance that I would have paid $50 or even $500 for that pen if I had to. The way to die a slow and painful death in business is to be exactly like your competition. At that store, in that situation, the store owner had a monopoly on pens. Because he had that monopoly, he dictated the terms of the contract and would be able to charge me the price he wanted to charge me. Now, think about the situation above but with a twist. Pretend that there were two stores side by side and the second store sold the same pen for $2. There is a good chance that I would have bought my pen from the second store, provided that the store-keeper delivered the one thing in this case that was most important to me: Speed. If the second store was selling the pen for $2 but was unmanned and I had to ring the bell and wait for someone to show up, I still would have gone to the first store and paid $5 for the pen. However, if the first store was selling the pen for $50 and the second for $2, I would have perhaps gone through a little bit of discomfort to buy the cheaper pen. If both of them sold their pens for a very high price, say $50, I may have even gone to one store and tried to lower their price - bargained - by threatening to go to the other store if he didn’t lower his price. "If you are exactly like your competition, one of you is not needed in the marketplace." ​Is A Slow Death Better Than A Quick Death? ​Coming to the main point of this article. The way to die a slow and painful death in business is to be exactly like your competition, so much so that your prospective clients can’t decide why - and why not - to choose you over your competition. When your product or service is so similar to your competition’s that they can’t tell you apart from other similar products or services, your products and services have become a commodity in the marketplace. The key to building a recession-proof business, a business that does well independent of the market conditions, is to build it around something that makes it unique and different in the marketplace. And - perhaps more importantly - build it around a uniqueness that's meaningful to its customers. ​If you are exactly like your competition, one of you is not needed in the marketplace. And the marketplace will find a way to weed out those who are not needed. This “weeding process” is not pretty. Businesses fight tooth-and-nail in that marketplace until a winner emerges. The rest have to fold their tents and go home or, worse, hang by their nails as long as they can, which is probably worse than quickly going out of business. 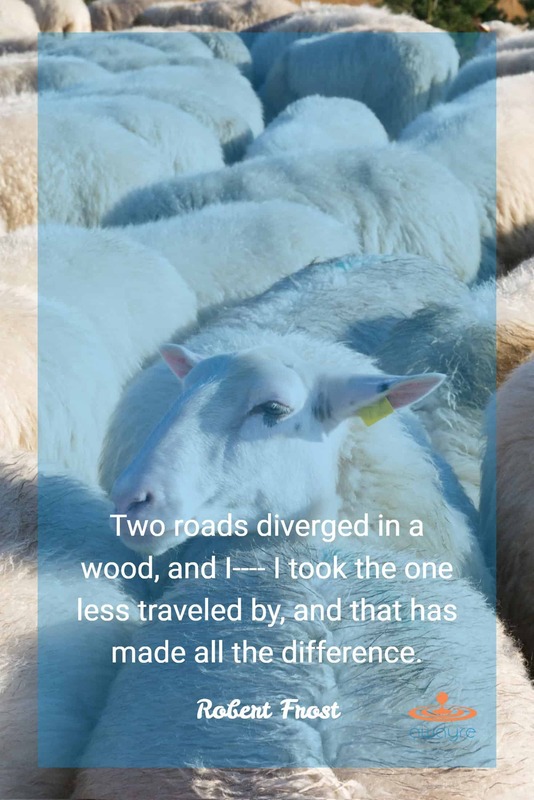 At the end of this weeding process, the successful business would have figured why they remained standing still - what their Meaningful Difference was - and then build the next phase of their success deliberately around that Meaningful Difference. But such success does not have to be accidental. A business can deliberately choose to build their business around a meaningful difference at any time and avoid having to live through the stressful experience of being a commodity provider in the marketplace. "The key to building a recession-proof business, a business that does well independent of the market conditions, is to build it around something that makes it unique and different in the marketplace." ​Back to you. Think about your business. Under what situations and circumstances would you have a monopoly for one of the products your business offers? Remember, no matter how “commodity” your product or service may be, it can’t get any more “commodity” than a pen. Any business, and I do mean any business, can find situations in the marketplace where it’s more of a monopoly than a commodity. One of the most deadly side-effects of for a business to be a commodity presence in the marketplace is that they get price-shopped by their prospective clients. This happens because businesses don’t do a good job of positioning themselves as a monopoly or a near-monopoly in their chosen sub-set of the marketplace. If it's positioned as more of a monopoly than a commodity in its marketplace, a business is more likely to be able to defend itself against pricing ​pressures. If it can continue to charge higher prices than its competition, it's more likely to survive in recessions and downturns and remain competitive for a long time. Ultimately, there is only one reason why there are pricing pressures: Your business is perceived as a commodity in the marketplace. In other words, your products and services are perceived as exactly like those offered by your competition. Another way to look at it is that the perceived value of working with you is not higher than either doing it themselves or hiring your competition. "Ultimately, there is only one reason why there are pricing pressures: Your business is perceived as a commodity in the marketplace." ​The good news is that you don’t always have to overhaul your entire product or service offerings to prove your value-add and stand out in the marketplace. After all, the fact that you have been successful thus far shows that value-add exists. In most cases, it’s just a matter of communicating your value-add to the potential customer in a way that she finds valuable. What is it that your customer gets by doing business with you in concrete, specific terms? Why should they believe that you can deliver this value-add (and not your competition). What makes you different from the other options that your customer has in getting this value. In other words, what’s your meaningful difference? The better you can answer these questions, the clearer you are about your unique identity in the marketplace. The clearer you are about your unique identity, the better positioned you are to build a successful, long-lasting business. To build the foundation of a long-lasting, recession-proof business, it must be built around a meaningful difference. When your business is built around a meaningful difference, it is perceived as a monopoly in the marketplace. When your business is perceived as a monopoly - the only option - by its customers, they pay higher prices, work harder to engage you, and remain customers for a longer time. The opposite also true. If your business is perceived as a commodity by your customers - just like all the rest - they fight you to pay the lowest price, make you word hard to engage and keep them, and jump ship when they are offered better terms or better price by your competition.